Note: In honor of Customer Service Week, we’re taking time this week to recognize the hard work of customer service success teams across the country, and around the world. 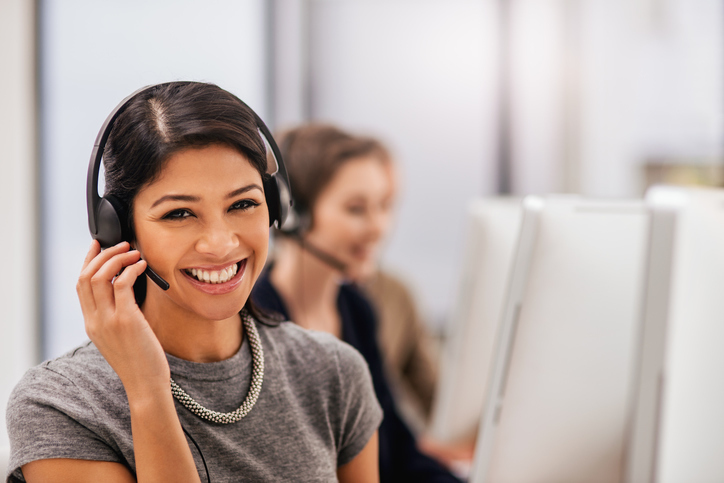 Every small business hopes to grow, but not everyone is prepared to meet the customer service and support needs that come along with that growth. As you look toward the future, it’s not only about planning for the worst-case scenario. You should also have a roadmap in mind for what happens if everything breaks right and your small business grows as you never imagined. That means making sure that your customer service and support can scale to meet growing needs. As your small business grows, you’ll need to transition from a reactive style of handling requests to a proactive strategy of resolving issues before they lead to service requests. When you’re starting out, you can’t necessarily predict everything that could go wrong with your product or service, and you don’t necessarily have the resources to catch every bug or issue. In the early stages of a business or startup, your focus is rightly on product-market fit. You need to know if your idea has legs and make the adjustments necessary to hit the sweet spot with your target market. That means getting feedback from your customers, disseminating that information to the rest of your team, and then making changes that both resolve the issue and improve the product going forward. As your product improves and your small business grows, start looking for opportunities to cut down on service requests by anticipating customer needs. Customer service and support requests are a key source of feedback that can help you hone your focus in the early stages. Figure out a way for this information to spread to every department. The workflow for responding to service requests needs to be relatively simple, but you need to make customer service everyone’s business. You should meet regularly to discuss the most common customer issues and build fixes directly into your product roadmap. The entire team should be involved in solving customer problems. After all, customer support is a learning tool that will ultimately make your product better. At this stage, metrics like inquiry volume or time to close tickets aren’t particularly helpful. Your focus should be getting to the root of the problem and understanding what it means for your product and your market. For the same reasons, make sure that the fixes you come up with are more than just Band-Aid solutions. Hacked-together solutions take care of the problem in the moment but can be difficult to maintain as your company grows. As you continue to grow, establish processes that help you manage feedback and set you up to satisfy customers during customer service interactions. The first thing to focus on is making sure you’ve narrowed your customer service channels. A customer service inbox, phone number, or live chat is a must for focusing and controlling communications. At this stage in the game, you also need to consider the quality of your customer service interactions. Follow up, learn how someone feels after their issue is “solved,” and do something with that information. Tools like NPS (Net Promoter Score) can teach you how effective you are at resolving issues and leaving customers feeling good about your company. Start thinking about ways to handle common issues more efficiently. Tools like standard email templates and blog posts about common questions will help you cut down on customer service request volume. These articles can double as content marketing, showcasing how your product or service can meet your customers’ needs. As you transition into a more proactive strategy for dealing with customer service and support, explore how quickly you respond to requests and deal with common issues. At this point, you have the data from previous customer service interactions to recognize common hang-ups. Start thinking about how you can leverage tools to help make your job easier. Chatbots are a simple tool to help you scale your customer service strategy and improve your response time. Optimize your phone tree structure and train your reps to identify common issues quickly—tactics that cut down on the time it takes to resolve a customer’s issue. Your small business wants to grow, but you need to make sure you scale your customer service and support as you get bigger. That means defining goals for each stage of growth, from getting feedback and improving your product or service to addressing common issues as quickly as possible. Understand that your goals will be different depending on where you are in the growth cycle. When you’re starting out, focus on disseminating and implementing customer feedback as quickly as possible. Build processes that serve as templates for how you handle service requests. As you get bigger, find quicker ways to address common problems.